Zoo With Roy: Inspector Gadget Is At The Phillies Game!!! I'm an idiot, I know it. But I'm dying over here right now and this is my bolg so there. UPDATE: Post commended by Yahoo's ANSWER DAN! FURTHER UPDATE: Keith Law approved! He went to Yale and makes his own torts while discussing tort reform, so this passes the high brow test. Color me excited. GO GO GADGET SNARK! Nice of Paddington Bear to invite him to use his extra seat. Da na na na na na na, woo oo! 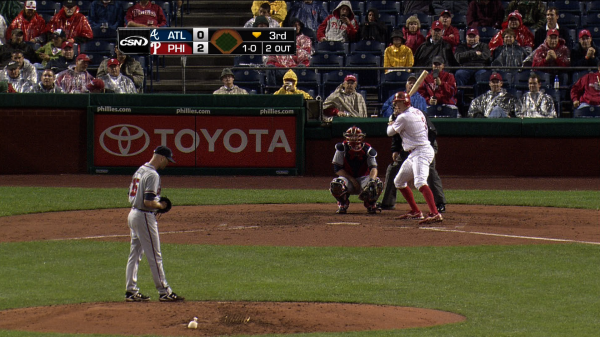 He deployed his Go Go Gadget Poncho around the 7th inning! For the record, Keith Law went to Harvard, not Yale. And the joke behind his tweet had to do with his nickname, Klaw. And really, its a good thing Gadget always had that umbrella that popped out the top of his hat. For the record, sometimes my poop floats.